Can Pizza Be a Post-Workout Meal? A man is putting cheese on a pizza. 1 Can Pizza Be a Post-Workout Meal? Papa John's is a pizza place that provides take out and delivery pizzas with a variety of different ingredients. 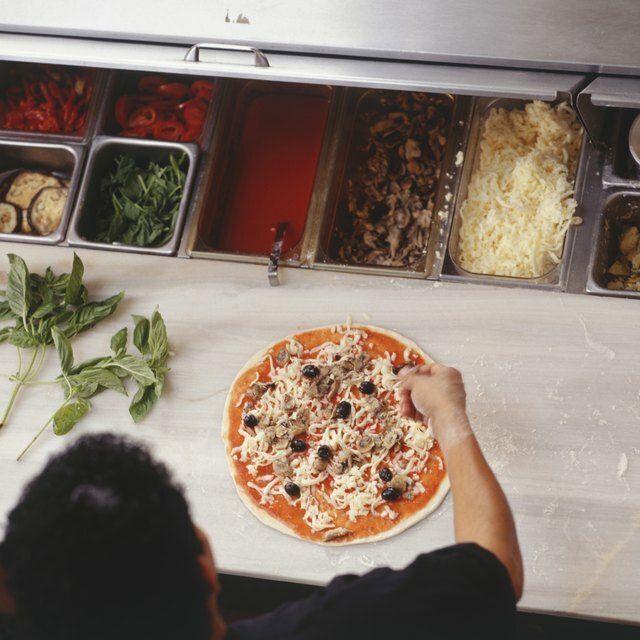 Many kinds of pizza are high in fat and calories, but choosing one with healthy ingredients in moderation can provide you with nutrients that are important for good health. They offer meats, vegetables and cheese to create many different combinations offering up protein, vitamins and minerals. According to Papa John's, they use fresh vegetables on their pizzas to provide quality products. There are many different options that you can include on your pizza. Among them are green peppers, mushrooms, tomatoes, jalapenos, onions and olives. Eating a diet rich in vegetables helps you reach your daily recommended totals for several vitamins and minerals. For example, bell peppers are a good source of vitamin C with 60% of your daily recommended amount in 1/2 cup chopped green pepper, according to the Centers for Disease Control and Prevention. Tomatoes contain vitamin A and C as well as fiber and iron. Loading your Papa John's pizza with vegetables increases your nutrient intake and cuts back on the amount of fat and calories a traditional slice of pizza contains. With choices including pepperoni, ham, Italian sausage, beef, grilled chicken and bacon you can get a good dose of protein on your order from Papa John's. The pizza place also offers specialty pizzas combining these meats with cheese and vegetables. However, it is important to keep in mind that while these ingredients offer some protein, many of them are processed, which increases sodium content, according to New Mexico State University Cooperative Extension. For example, 3 ounces of bacon contains 1356 mg of sodium. In addition, pepperoni, bacon and sausage are high in fat and calories and should be eaten in moderation. Opt for the grilled chicken for the most health benefits from the meat on your Papa John's pizza. 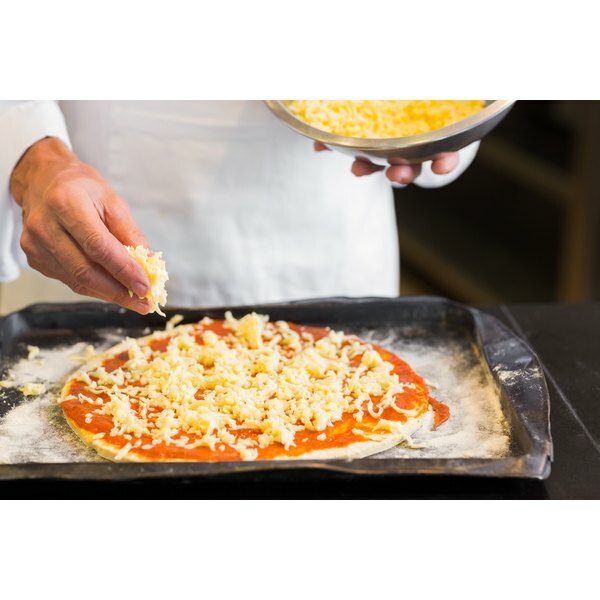 Cheese is a pizza staple and Papa John's offers Parmesan Romano and a three-cheese blend. According to the Dairy Council of California, incorporating cheese into your daily diet increases your intake of calcium, which can reduce the risk of osteoporosis. Choosing a Papa John's cheese pizza also provides you with protein, which contributes to healthy muscles. However, full fat cheese is higher in saturated fat than vegetable toppings so order it in moderation and combine it with healthier ingredients for good health benefits. This means avoiding ordering extra cheese when you call Papa John's. Some locations may offer low-fat cheese and you can ask your local restaurant if they do.